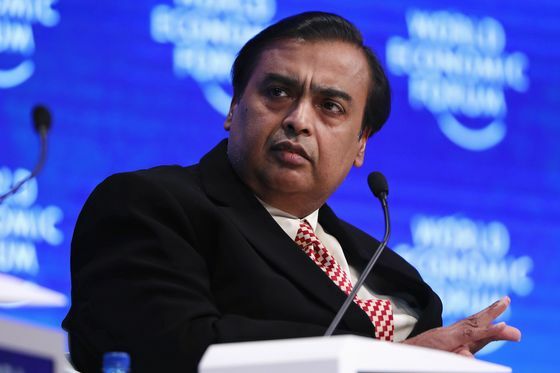 Ambani outlined his plan to shareholders in July, saying the effort will involve the group’s unlisted businesses Reliance Retail Ltd. and Reliance Jio Infocomm Ltd. He has already spent about $36 billion on Jio, which has rolled out a nationwide 4G network and fiber broadband infrastructure, causing some established rivals to pull back. Ambani’s e-commerce plans have already won the support of investors. Shares of Reliance Industries Ltd. surged 45 percent in the past 12 months and touched a record high on April 1. 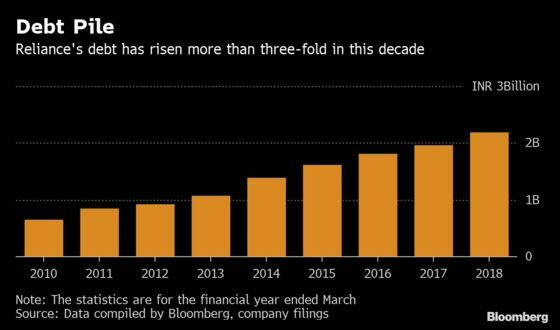 The rally boosted Ambani’s net worth by $9.7 billion this year to $54 billion, according to the Bloomberg Billionaires Index. The tiny deals that Ambani has been stitching make more sense, in this backdrop. 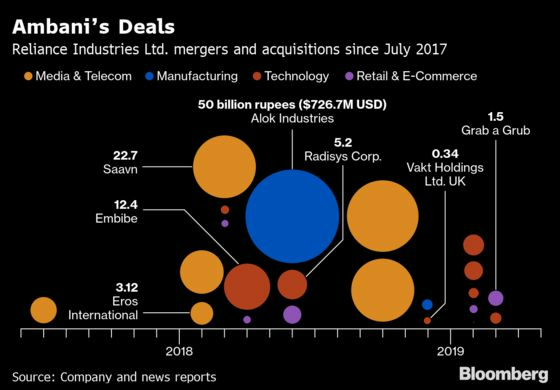 These acquisitions are adding brands, technology or expertise to Reliance’s repertoire but not making its indebtedness worse.